Is the coolant level correct? Okay on the engine bay's firewall you should see two coolant hoses that go into the firewall. These are for the heater core. When the engine is hot these should be hot. Check these hoses first by grabbing them and seeing if they are hot or not. If they are only lukewarm I'd check the thermostat and make sure that the cooling system is working properly. With the engine warm grab the two radiator hoses they should be about the same temp. but be hot. the radiator hoses are very hot. When you said you touched the hoses by the firewall did you touch before or after the heater control valve? I have checked the hoses again and they are just warm going into the firewall after the control value. Then after pulling on the cable that activats this valve the heater is now working. I'm not sure if the cable or the mechanism that actuates the cable was problem or if the heater will continual to work. Sounds like the cable needs adjustment to open the valve properly. Let me see if I can find the instructions to do that for you. 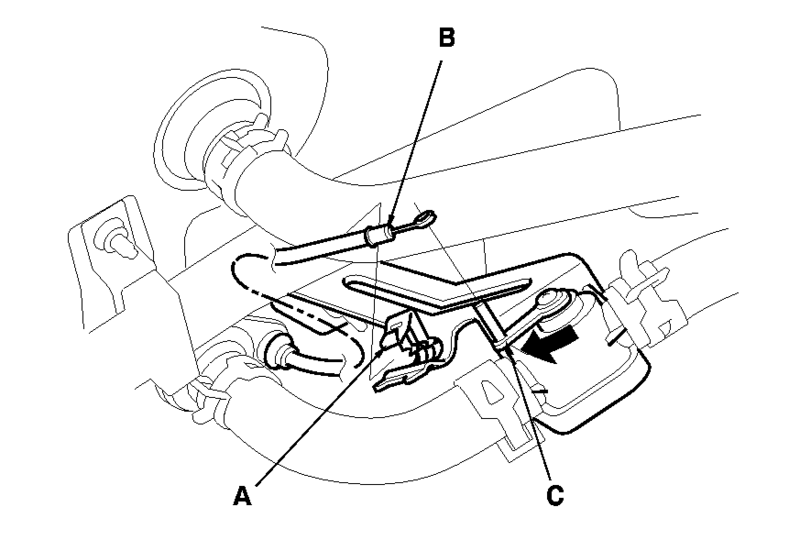 From under the hood, open the cable clamp (A), then disconnect the heater valve cable (B) from the heater valve arm (C). 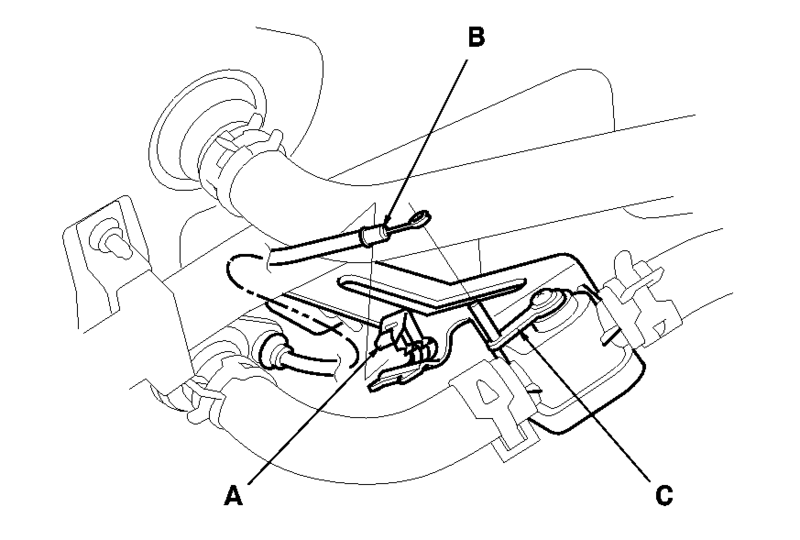 From under the dash, disconnect the heater valve cable housing from the cable clamp (A), and disconnect the heater valve cable (B) from the air mix control linkage (C). Set the temperature control dial or button on Max Cool (60ºF on 18ºC) with the ignition switch ON (II). 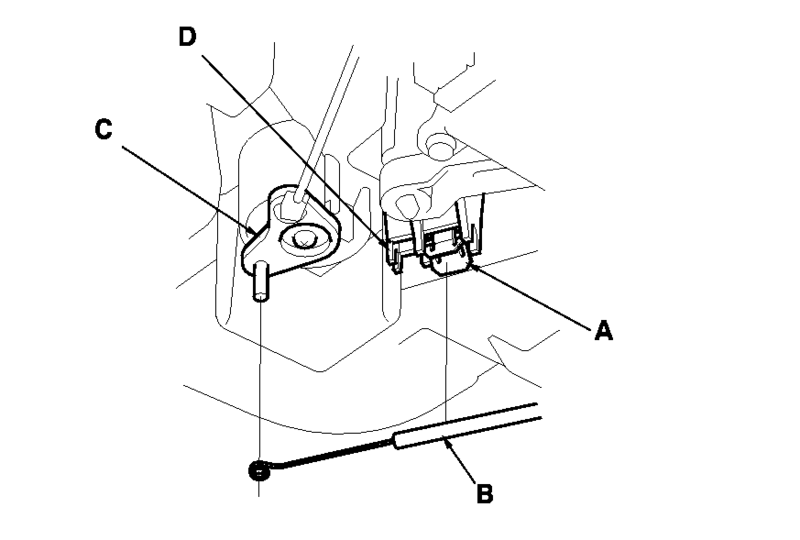 Attach the heater valve cable (B) to the air mix control linkage (C) as shown above. Hold the end of the heater valve cable housing against the stop (D), then snap the heater valve cable housing into the cable clamp (A).